I myself am not much of a fighting game aficionado, but I have been exposed to the community, I know a bit of the fighting game jargon, I have played a bit of Street Fighter to know a little bit of what to look for. 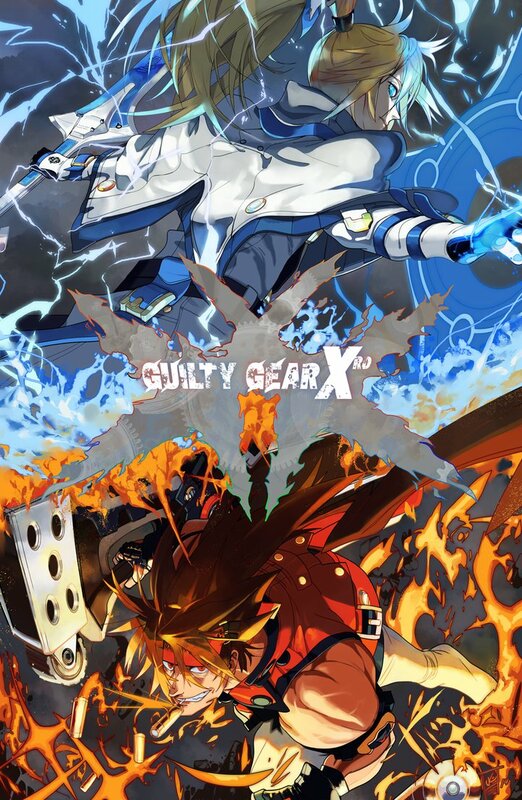 First thing I notice playing Guilty Gear Xrd, this is NOT a beginner fighting game, but I still took a shot considering how fun it looked, and boy is it fun. There are a few things I've noticed. Let's start with characters; designs are very well done. Of course character archetypes are typical in fighting games, but this one in particular, has a VAST difference between everyone's abilities. Despite this, I can name only a few unbalanced characters, one of them being an unlockable character Sin Kiske with his extremely high damage output; I understand that he has an energy meter which inhibits him if it is exhausted, however I still do not think that is enough of a justification of his high damage. With online gameplay, there is a very wide gap between ranked and casual players, when you find the right skill level, the online gameplay is worth filling the gap. The other modes include, Arcade mode, M.O.M. mode, and Story mode. Arcade mode is a standard fighting game pattern; beat one opponent after another until you win. M.O.M. mode is rather interesting, you send a character into a grid-like map, customize and level up certain properties and send them in to the fray. The best part about this mode is that you can use your customized character online if the match allows it. Story mode has no gameplay, it is just a way to learn the lore of the series; it is strange to say the least. Feel free share your opinion as I just did below!